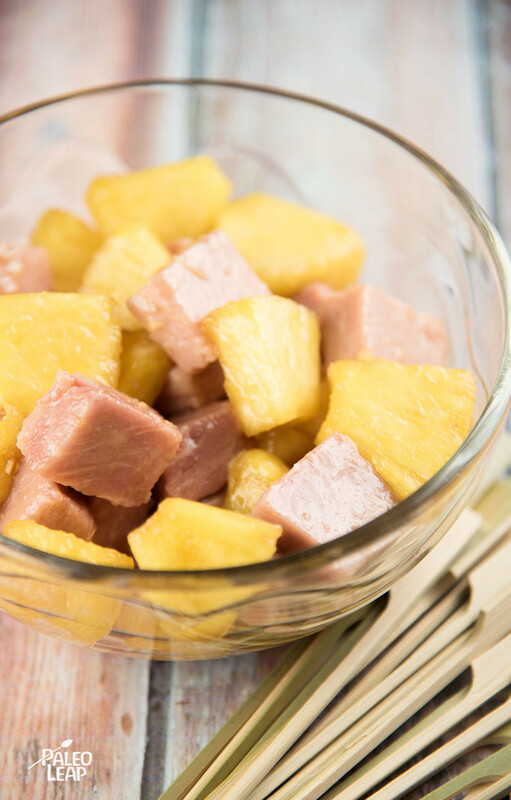 Ham and pineapple make for a great salty-sweet combination, especially when they’re hot off the grill and drizzled with a savory sauce. These tasty skewers are the perfect answer to a craving for Hawaiian pizza – because really, the toppings are the good stuff anyway. The basting sauce just adds to the experience: mustard and ginger give it a little bit of savory warmth that nicely balances out the ham and pineapple on the skewers. You could make miniature versions of these to serve as appetizers, or full-size versions for a whole meal; just pick the appropriate size of skewers and go to town. For a full meal, these would be very tasty with roasted tomatoes, spicy chipotle fries, or simply over a big pile of your favorite salad vegetables (to make the salad easier to eat, you could also slide the ham and pineapple off the skewers after cooking so you could toss them with the greens more easily). With such a winning combination, it’s hard to find a wrong way to eat it; pick your favorite and dig in! In a bowl, combine the pineapple juice, coconut aminos, honey, ginger, mustard, and season with salt and pepper to taste. 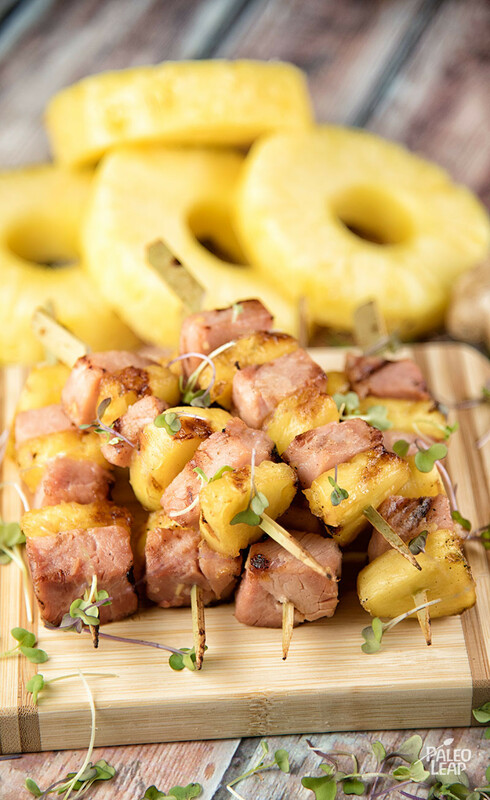 Thread alternating pieces of pineapple and ham onto the skewers. Grill the loaded skewers for 8-10 minutes, basting with the sauce and turning frequently.